Give your child the gift of graceful music with this collection of worshipful lullabies to play during sleepy time. Want to help ease your Baby's bedtime? 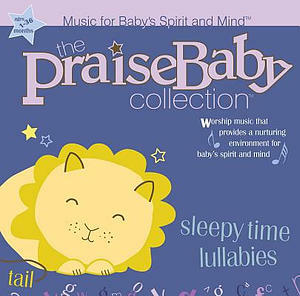 Praise Baby: Sleepy Time Lullabies by Praise Baby was published by Authentic in July 2008 and is our 7095th best seller. The ISBN for Praise Baby: Sleepy Time Lullabies is 0083061088224. Be the first to review Praise Baby: Sleepy Time Lullabies! Got a question? No problem! Just click here to ask us about Praise Baby: Sleepy Time Lullabies. Now Playing: Indescribable Your browser does not support the audio element.